In 2008, the Vetri Family owner, Marc Vetri, and his business partner Jeff Benjamin, created the Vetri Community Partnership. 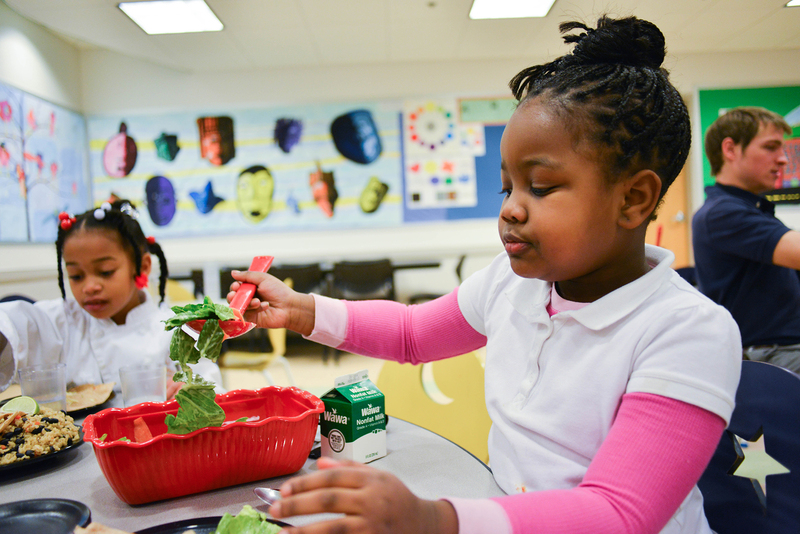 This partnership helps children experience the connection between smart food choices and healthy living through good food, education and social interaction. It helps give kids the nutritional foundation they need to grow and thrive. 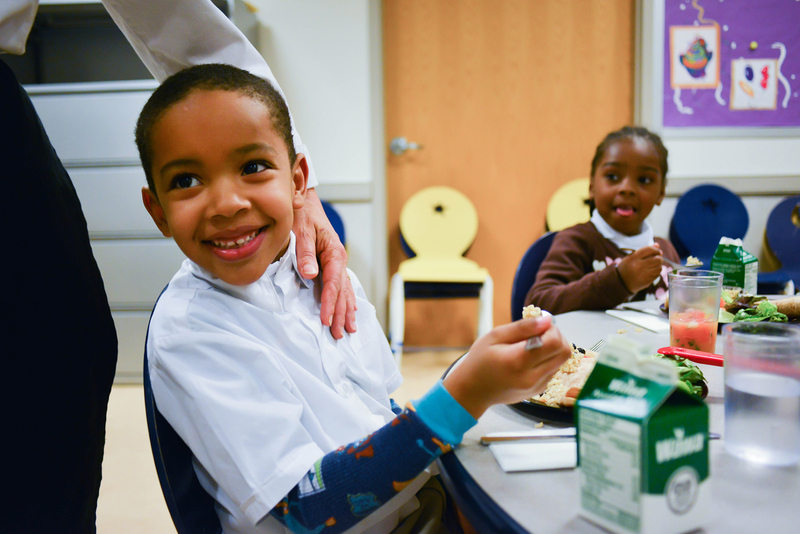 One of the Vetri Community Partnership programs is Eatiquette - a school lunch program that uses fresh healthy food, family style dining, and other principles to improve the lives of children. It’s currently in place in select Philadelphia schools. The program aims to transform a child’s lunch from the traditional cafeteria assembly line to an environment where children gather around tables, pass plates of food to one another, and experience social interaction and communication. Through this experience, students learn teamwork, communication, and healthy eating habits. Children learn to serve each other, to respect those who prepare their food, and to appreciate how healthy food makes them feel. Check out this video segment from ABC’s The Chew as well as this short documentary video to learn more about the Eatiquette program.